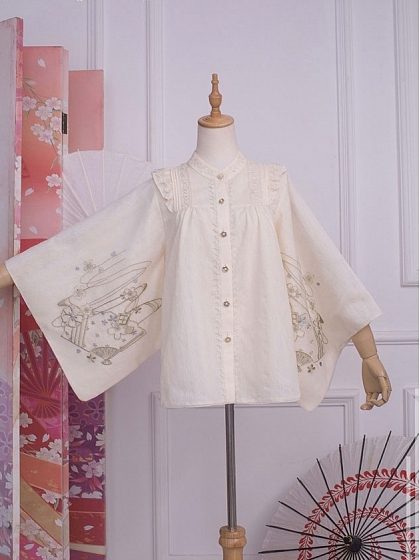 Features: A blouse features kimono styled wide voile sleeves with embroidered blossoms. NO shirring back and NO lace-up back. 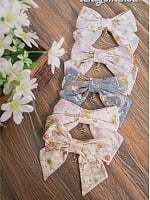 Material: Fabric: Body is cotton, sleeves are voile.